Longer duration of reproductive period is associated with an increased prevalence of allergic rhinitis and aeroallergen sensitization in the postmenopausal period, a study has found. Polycystic ovary syndrome (PCOS) does not appear to significantly impair sexual function, a recent meta-analysis has shown. However, there is a need for further and stronger studies to confirm the findings. The sodium‐glucose‐cotransporter‐2 inhibitor empagliflozin yields beneficial effects on weight anthropometric parameters and body composition—including weight, body mass index, waist and hip circumference, and total body fat—that are greater than those achieved with metformin in overweight and obese women with polycystic ovary syndrome (PCOS), a study has shown. Women with polycystic ovary syndrome (PCOS) are likely to experience sleep disturbances, a study has shown. Hypertensive pregnancy disorder increases the risk of cardiovascular diseases (CVD) up to 10 years after delivery independent of common CVD risk factors, a new study has found. Middle-aged women with a higher menopause symptom burden are more likely to experience chronic pain, a study suggests. Adolescent pregnancies are more likely to result in adverse birth outcomes, a recent study has shown. Tramadol safely and effectively reduces pain during diagnostic outpatient hysteroscopy, according to the results of a meta-analysis. 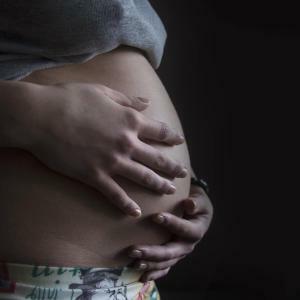 Infants born to mothers with polycystic ovary syndrome (PCOS) are less likely to be large for gestational age, according to data from the SCOPE* cohort study. Moreover, PCOS does not carry an increased risk of pregnancy complications in women following a healthy lifestyle.